The yellow 20011MTLY- YELLOW MicTube Weatherproof Microphone Case from Alfa Case is designed to carry a single shotgun microphone in a padded, waterproof case. The MicTube actually floats if dropped in a body of water (not recommended). Its O-ring-sealed lid keeps out moisture, dust, and grit, and gives your expensive mics good protection. 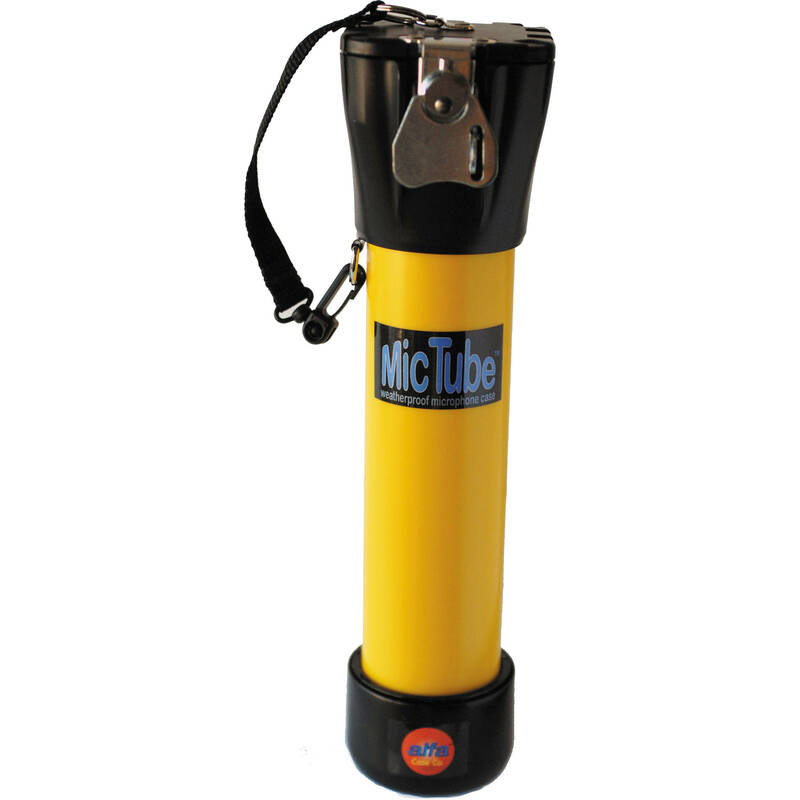 This MicTube Weatherproof Microphone Case is designed for Sanken CSS-5 stereo microphones and comes with a lockable draw-latch top. It mounts to a Boom Tube with a mounting kit (both, sold separately). You can carry additional microphones and a Softi-Case (both, sold separately) on the Boom Tube for a lightweight, over-the-shoulder carrying system that leaves your hands free to have a latté or carry your audio recorder. Box Dimensions (LxWxH) 16.0 x 4.0 x 4.0"